The ontological turn in anthropology originated with Eduardo Viveiros de Castro’s 1998 lecture series at Cambridge on “Cosmological perspectivism in Amazonia and elsewhere,” which called for the exploration of indigenous ontologies of non-Western peoples (Viveiros de Castro 2012). The impact of Viveiros de Castro’s argument is vivid in Thinking through Things (Henare et al. 2007), which offers something like a manifesto for an ontological turn in anthropology. The argument appears rather simple at first glance: it entails taking informants’ statements about things seriously in their own right, rather than taking them as a cultural perspective on real material reality. In this sense, indigenous conceptualizations can be used to challenge the dominant Western ontology. This argument has provoked debate both in Europe and Japan, but in the latter it has played out somewhat differently. 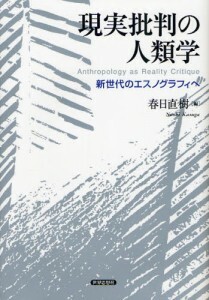 One might say that while many European anthropologists aim to elucidate how people conceptualize the cosmos by thinking through things, Japanese anthropologists, not least inspired by Bruno Latour, have aimed rather to show how natural entities, artifacts, and personhood are constituted by and through heterogeneous entanglements in practice. Japanese advocates of ontology came to see a particular connection between the ontological turn and experimental attempts in ethnography. Of course, the ontological turn itself is not averse to ethnographic experimentation because of its roots in the work of Marilyn Strathern. Among other things, Strathern is well known for her work on the relations of nature and culture in Melanesia. In Gender of the Gift, for example, she simultaneously describes Melanesian indigenous notions, while articulating the epistemological ground assumed by the very viewpoint through which she describes them. Her argument often involves experimental juxtapositions of Melanesian and Euro-American materials, which not only elucidate the radical difference between the two but also elicit the basic assumptions of Western conceptualization. 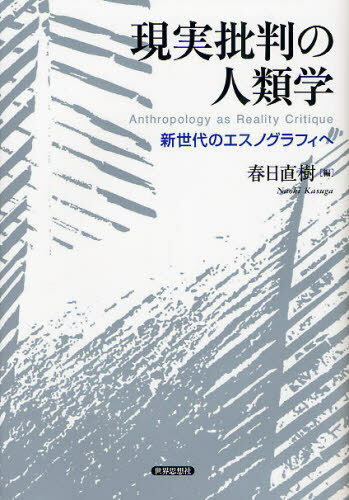 This is the point where practice theory and experimental postmodern critique converges in the Japanese context, as exhibited in Anthropology as Critique of Reality—an edited volume (Naoki Kasuga, ed.) including articles written by some of the core members of ETG. The volume elucidates the alterity of a variety of non-Western ontologies by delineating the complex interplays through which different ontologies are often busily interfering with each other. Thus, ontologies are never hermetically sealed but always part of multiple engagements. They offer not only discursive or conceptual but also practical commentary and critique of other realities.